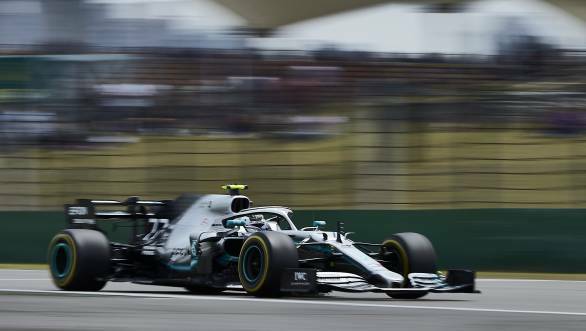 Valtteri Bottas claimed pole position during qualifying for the 2019 Chinese Grand Prix. He heads an all-Mercedes front row, with team-mate Lewis Hamilton lining up alongside him. Bottas did extremely well, setting the fastest times during the second and third free practice sessions, and subsequently took pole with a time of 1min 31.547sec. 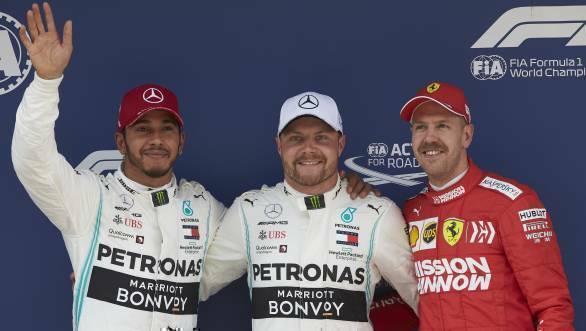 Hamilton's time was just 0.023 seconds behind Bottas, allowing the duo to keep the Ferraris of Sebastian Vettel and Charles Leclerc behind them. Vettel had to be content with third on the grid, while Leclerc settled for fourth. Max Verstappen and Pierre Gasly could do no better than fifth and sixth on the grid for Red Bull Racing. Although, it was a high point for Gasly, who made his first Q3 appearance of the season. Then came the two Renault drivers, Daniel Ricciardo in seventh, and Nico Hulkenberg in eighth. The two Haas drivers, Kevin Magnussen and Romain Grosjean took P9 and P10. Toro Rosso's Daniil Kvyat took eleventh on the grid, one spot ahead of Sergio Perez in the Racing Point car. Meanwhile, Kimi Raikkonen could only qualify 13th on the grid in the Alfa Romeo, which put an end to his continuous Q3 participation that began at the 2016 Hungarian Grand Prix. Carlos Sainz Jr. and Lando Norris qualified their McLarens in P14 and P15. Lance Stroll, of Racing Point, lines up 16th on the grid. Followed by Williams drivers George Russell and Robert Kubica who took their cars to 17th and 18th on the grid. Antonio Giovinazzi's Alfa Romeo had a power unit glitch that led to him missing qualifying, which meant that he starts 19th. One spot ahead of Toro Rosso's Alexander Albon, who missed out on qualifying after a crash during the third free practice session.